ButterUp​ provides a solution to the age-old problem of spreading cold butter straight from the fridge. 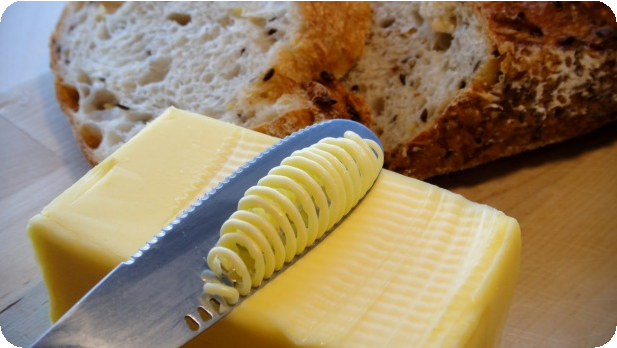 Using a line of holes at the knife’s edge, butter is grated into thin ribbons that can be easily spread straight onto bread. “We started on designing a better container without much success, until one morning the idea came about to integrate a spreading blade with a grater,” Pantschenko says. Butter-Up was originally priced at $12 each. Those interested can register to pre-order via the product’s website. This entry was posted in Cool Things and tagged kickstarter. Bookmark the permalink.